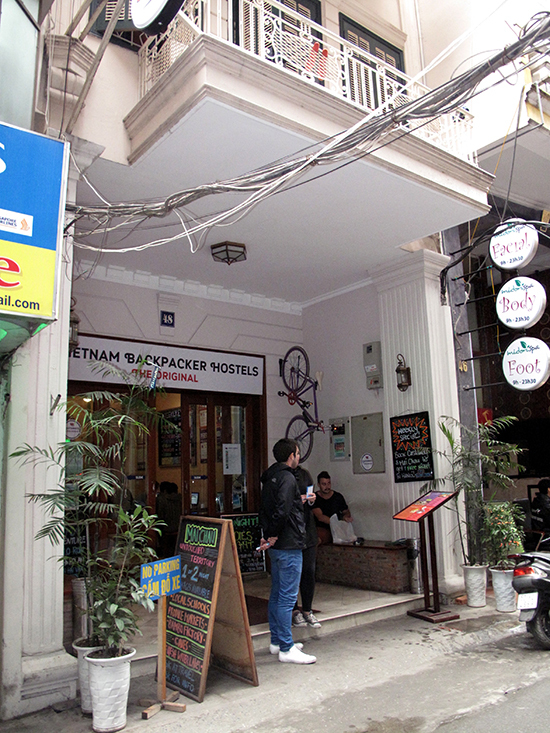 The original Hanoi branch of the Vietnam Backpacker Hostels chain (previously Hanoi Backpackers Hostel) is a decade old but still a popular choice among backpackers -- and it’s easy to see why. 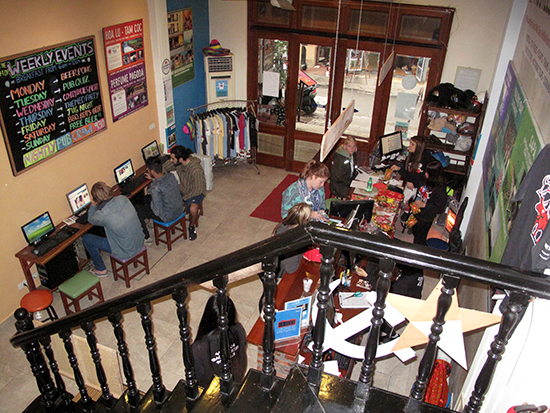 The reception area is colourful and lively with guests always milling around, either on the internet stations, checking-in or booking tours — a promise of good new friends and good times. Positive first impressions are backed-up with refurbished and spotless air-con dorms (mixed and women-only rooms), each sleeping up to 10 in wide bunks with good mattresses, quality bedding, large lockers, a shelf and personal reading lights. 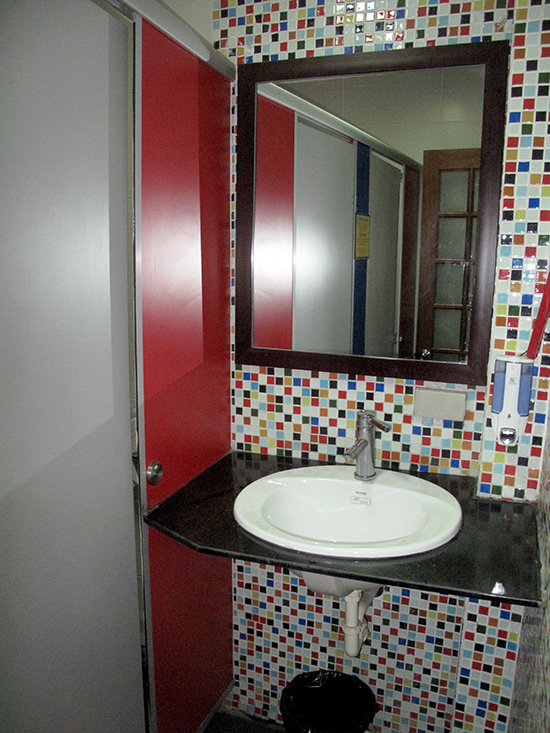 Each room has a cheerfully decorated ensuite bathroom with a separate toilet and shower. 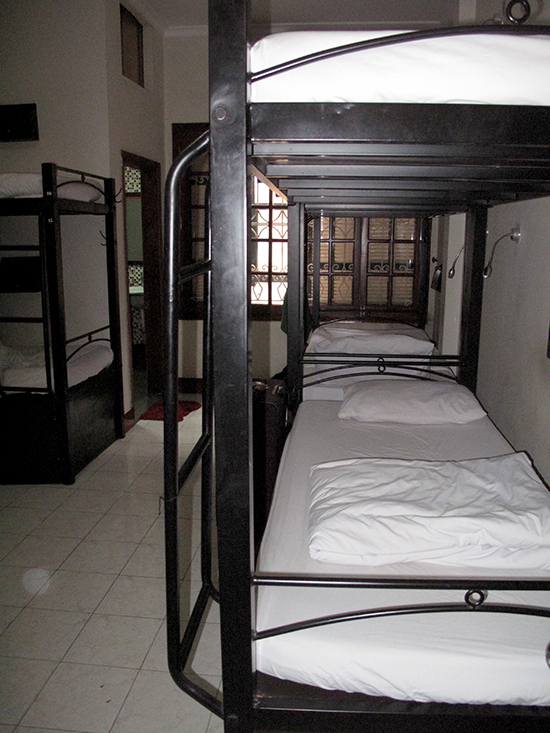 Beds are US$7.50 and can be booked in advance on the hostel’s website. Private rooms are located in a building across the street with internet stations and a scruffy TV / DVD area on the ground floor and a selection of basic rooms upstairs. At US$25 a night they’re a bit pricey compared to nearby alternatives. Rooms however can sleep up to three, making it not much more expensive than three dorm beds. For a bit more privacy. A smart ground floor cafe and bar in the main building provides a basic breakfast included in the bed rate — it’s open all day for well-priced food and drink. Tea and coffee – and WiFi — are complimentary all day. 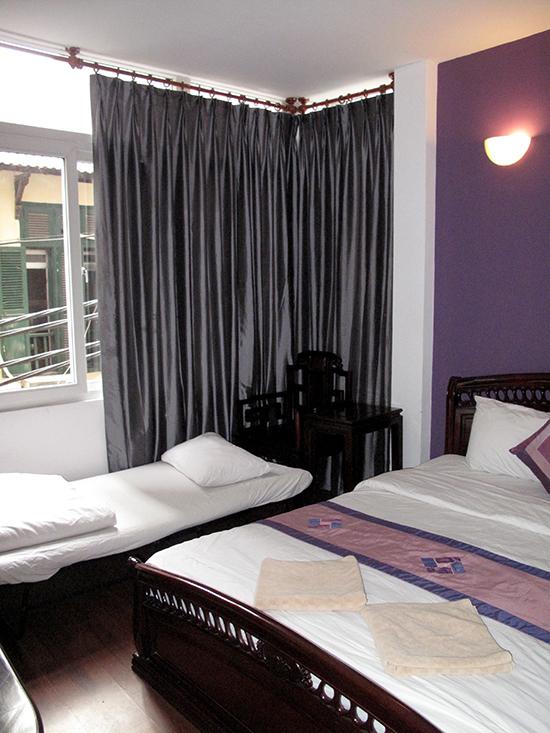 The hostel is also a reliable option for booking tours. It’s known for its Ha Long Bay trips, with accommodation on “Castaways” Island and activities such as tubing and wake boarding and, of course, partying. Their other tours are also well regarded and take advantage of the hostel’s other joints in Sapa, Mai Chau, Hue and Hoi An. While not low priced, tours are good value and you’re likely to be surrounded by other likeminded travellers. Bathrooms have been bought up to scratch. “The Original” is located on tiny Ngo Huyen, which is not wide enough for cars. If arriving in a taxi you’ll either be dropped in Ly Quoc Su or Phu Doan. The Vietnam Airlines’ shuttle drop off is around 400 metres away on Quang Trung; from the shuttle turn left, cross over Trang Thi, join Nha Chung and keep walking past the cathedral before turning left onto Ngo Huyen. 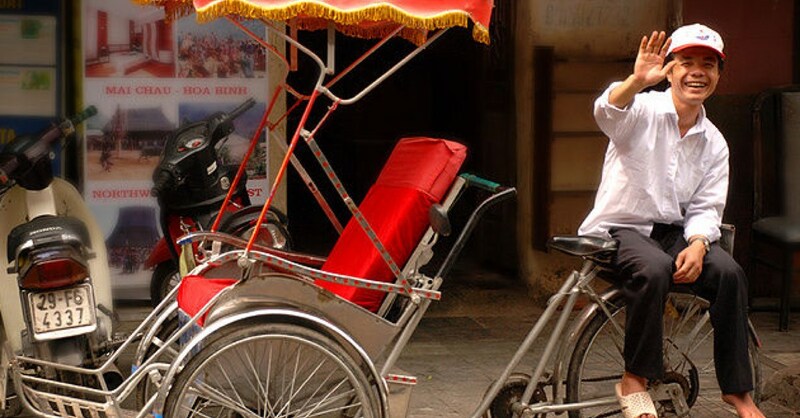 Ngo Huyen is a very lively street, packed with tourist services such as tour bookings, bike hire, bars and restaurants. Funky Bar Betta is at the end of the street and you’ll also find a well-rated Vietnamese-German restaurant, Minh Thuy’s, near the hostel. A stall at the Ly Quoc Su end sells banh my for cheaper eats. The cathedral and lake are close-by. 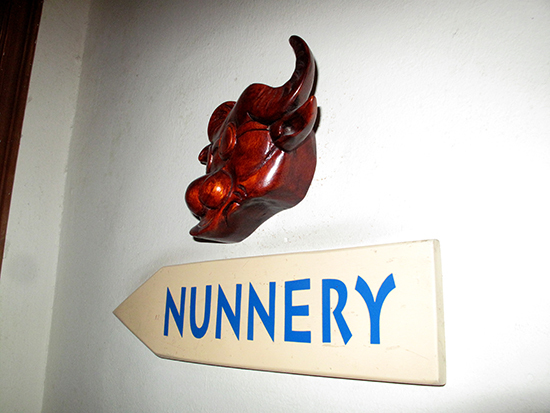 Vietnam Backpackers know what they’re doing and usually get it right. Highly recommended.